Advantage Hostel i Prag, Tjekkiet: Reservér nu! There will be necessary to pay deposit of CZK 550 or EUR 20 per person as deposit for possible damages by arrival. This deposit will be given back by departure (after reducing amount of possible damages). 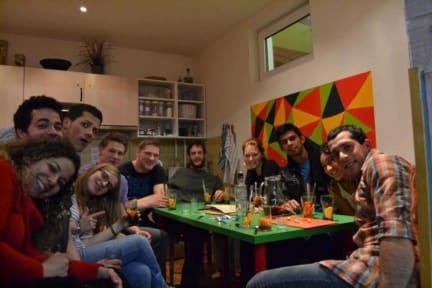 • we organise evening activities such as sangria party, beer-pong, cooking lessons, czech evening and more - completely for free. Join us and have a great time! Find new friends. • The receptionists are open minded people,fluent in English - some also speaking Spanish - easy going and well spirited. • Open 24 hours all day, all year round. A safety key-card system protects our hostel. Each room is separately lockable with their own room cards. Security cameras at the reception. Police station just opposite the street. The price is fixed; further discounts with discount cards are not possible. We loved staying at the Advantage Hostel because of the good facilities, spacious dorms and not least the very friendly staff at the hostel. 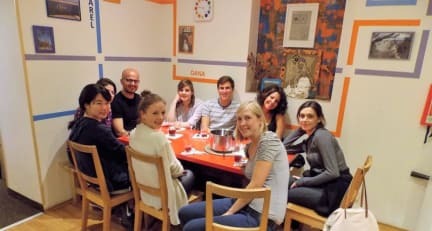 They do a lot of events which is a great opportunity to meet other travelers. I would really recommend this hostel!